Sense of heat. Confusion and vertigo. Headache, before and during stool. Severe pain in eyes; feel expanded. Hyperesthesia of retina. Violent pain in epigastrium, discharge of flatus relieves. Gastralgia, pyrosis, sensation of coldness below epigastrium. Burning pain, extending upwards; slightest touch causes excruciating pain. Bitter and sour eructation, worse at night. Cannot eat strawberries. Pain in upper part and region of navel two hours after eating, with much flatulence. Stitches in liver. Colic. Burning in small spots in abdomen. Diarrhea from coffee. Terrible neuralgic pains in spermatic cord. Testicles feel contused and heavy. Seminal vesiculitis. Frequent and copious. 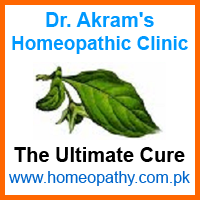 Burning in urethra and pain in glans when urinating. Must urinate when thinking of it. Urine contains oxalates. Nervous aphonia with cardiac derangement (Coca; Hydrocy ac). Burning sensation from throat down. Breathing spasmodic, with constriction of larynx and chest. Hoarseness. Left lung painful. Aphonia. Paralysis of the tensors of vocal cord. Dyspnea; short, jerking inspirations. Sharp pain through lower region of left lung, extending down to epigastrium. Palpitation and dyspnea in organic heart disease; worse, when thinking of it. Pulse feeble. Heart symptoms alternate with aphonia, angina pectoris; sharp, lancinating pain in left lung coming on suddenly, depriving of breath. Precordial pains which dart to the left shoulder. Aortic insufficiency. Numb, weak, tingling. Pains start from spine and extend through extremities. Drawing and lancinating pains shooting down extremities. Backache; numb, weak, Myelitis. Muscular prostration. Wrist painful, as if sprained (Ulmus). Lower extremities blue, cold, insensible. Sensation of numbness. Multiple cerebral and posterior spinal sclerosis. Lancinating pains in various parts; jerking pains. Sensitive, smarting and soreness, worse shaving; mottled, marbled in circular patches. Perspires easily. Worse, left side; slightest touch; light; shaving. Aroused about 3 am with gastric and abdominal pain. All conditions made worse by thinking about self. Compare: Ars; Colch; Arg; Pic ac; Cicer arietinum-Chick-pea–(Lithiasis, jaundice, liver affections; diuretic). Scolopendra-Centipede–(terrible pains in back and loins, extending down limbs; return periodically, commencing in head, to toes. Angina pectoris. Inflammation, pain and gangrene. Pustules and abscesses). Cesium–(Pain in lumber region and testicle. Headache, darting through temples. Diarrhea and colic. Languor).